Vietnam Peoples Navy is the first foreign customer who expected to receive the world's lethal anti shipping cruise missile Brahmos. Sources confirmed that, the contract would be finalized before the end of this year. Both Russia and India agrees to export the Missile to Vietnam who is a friendly nation to both Nations. The same source also said that, Air launched version of Brahmos A already completed the ground trails. the airborne carriage trails commenced soon by following the final test launch scheduled by end of this year. The Brahmos A program almost delayed by more than a year, where DRDO and HAL said test launch may occur in end of 2015. Vietnam is the most pro Russian country who relies on Soviet and Russia for it's military needs, who also threatened by the Chinese with the disputed Island issue. Vietnam requesting the Brahmos missiles for it's front line naval ships, who currently using older Styx missile, Vietnam operates more than six Molniya class missile corvette's. Similar like Indian Navy's veer class missile corvette. Vietnam plans to replace those Styx missiles with Brahmos missile. 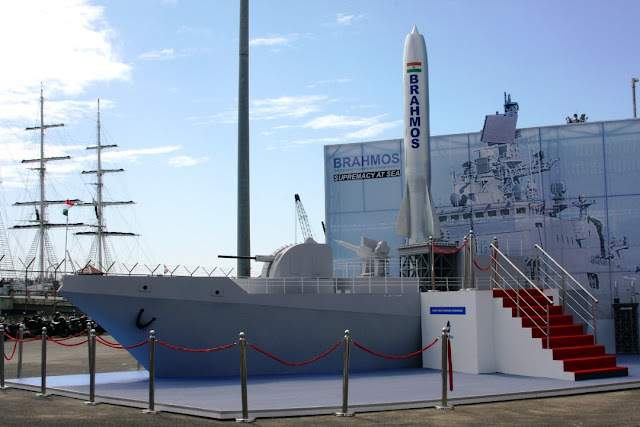 Sources said, Vietnam requesting the Brahmos since years, when the official talks started in early 2013, Later the talks actively progressed by both Indian and Russian officials. Since 51% of the missiles stakes under Indian custody, India needs to take the final decision. However India also willingly to share the Brahmos to Vietnam, after Vietnam given few of the oil fields to Indian state firm ONGC. China protested the Vietnamese move of giving oil fields to India, saying "transferring rights in the disputed Island to foreign country make bigger problems". Refusing the Chinese threat, ONGC get the contract from Vietnam to explore the oil deposits. who already stated working on the fields. India revamped it's relationship with Vietnam later 2000 only, However which creates stronger basement to counter Chinese threat. The relationship went another level in later years, as once the Indian foreign minister openly said that " Vietnam is one of the Pillar of India's act east Policy ". The current government keen to expand the relationship into higher level and hosted the Vietnamese Prime minister in India early 2014. During the meet Indian PM offered the Brahmos missile to Vietnam, also expressed deeper maritime relationship with Vietnamese Navy. In this field both navy's conduct regular port visits, Joint patrols and Naval exercise. Indian Govt also allowed the navy to provide assistance and training to Vietnam navy to work with newly acquired Kilo class submarine from Russia. Also given $100 million credit line to buy new warships from India. India is in final talks to supply four large patrol vessel to Vietnamese navy. as Indian PM promised in earlier 2014. Vietnam operates six modern kilo class submarines and few Russian frigates and missile corvette's. all those are modernized with newer Klub missiles. Vietnam also operates K 300 P Bastion coastal missile battery, The missile used in the K300 is the Oniks missile, predecessor of Brahmos missile.